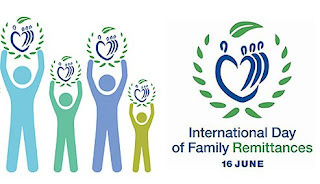 The International Day of Family Remittances (IDFR), celebrated on 16 June, is aimed at recognizing the significant financial contribution migrant workers make to the wellbeing of their families back home and to the sustainable development of their countries of origin. It is also aimed at encouraging the public and private sectors, as well as the civil society, to do more and collaborate to maximize the impact of these funds in the developing world. The first IDFR was celebrated on 16 June 2015 by more than 400 policy-makers, private sector representatives and civil society leaders at the opening of the Fifth Global Forum on Remittances and Development in Milan. Patron of the first IDFR was Her Excellency Queen Máxima of the Netherlands in her capacity as United Nations Secretary-General's Special Advocate for Inclusive Finance for Development (UNSGSA). The Ministry has made it a national priority to bring health outcomes among children to a level equitable with the rest of the world. Through this initiative, the Ministry will mobilize health personnel, State Governments and other stakeholders to prioritize investment in control of diarrhea, one of the most common childhood illnesses. It aims to create mass awareness about the most effective and low-cost diarrhoea treatment— a combination of Oral Rehydration Salt (ORS) solution and Zinc tablets. During the fortnight, intensified community awareness campaigns on hygiene and promotion of ORS and Zinc therapy will be conducted at state, district and village levels. Narly 12 crore under 5-children will be covered during the program across the country. Increased access to immunization and child healthcare services during this period have greatly contributed to this decline. Yet, an estimated 1.1 million children die each year in India, including approximately 1.1 lakh deaths due to diarrhoea. 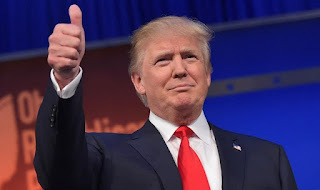 Sulabh International founder and chief Bindeshwar Pathak has announced that an open defecation-free (ODF) village in Mewat will be named after the US President Donald Trump. Sulabh believes the move will help draw the attention of the world towards India's cleanliness campaign. Indians working across the globe sent home USD 62.7 billion last year, making India the top remittance-receiving country surpassing China, according to a UN report. The ‘One Family at a Time’ study by the UN International Fund for Agricultural Development (IFAD) said about 200 million migrants globally sent more than $445 million in 2016 as remittances to their families, helping to lift millions out of poverty. 80 per cent of remittances are received by 23 countries, led by India, China, the Philippines, Mexico and Pakistan. The top 10 sending countries account for almost half of annual flows, led by the US, Saudi Arabia and Russia. The study said India was the top receiving country for remittances in 2016 at $62.7 billion, followed by China ($61 billion), the Philippines ($30 billion) and Pakistan ($20 billion). India has moved up six places to 60th among 130 nations on the Global Innovation Index (GII) 2017, emerging as the top-ranked economy in Central and South Asia. 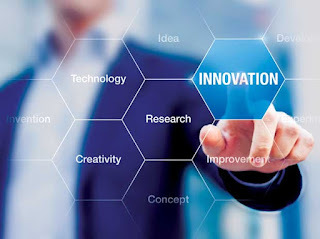 The improvement in India's rankings come after five continuous years of slide even as Switzerland, Sweden, the Netherlands, the US and UK retained their top spots as the most-innovative countries. Among India's neighbours, Sri Lanka took the 90th spot whereas Nepal was at 109th. Pakistan came in at 113 followed by Bangladesh at 114. 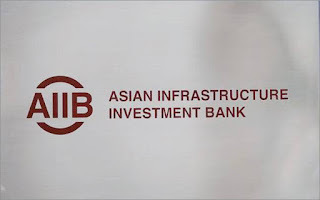 The China and India-backed Asian Infrastructure Investment Bank (AIIB) announced its first equity investment, a $150 million commitment to a fund aimed at pushing infrastructure projects in India. Its first equity investment of US$150 million will help to attract much needed private investment capital for infrastructure projects in India". 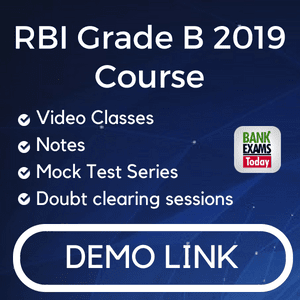 The $150 million investment will support an infrastructure fund that the bank says "aims to invest in mid-cap infrastructure companies in India, and to expand the Bank's equity and loan deal sourcing pipelines in the private sector through its equity participation in this Fund". 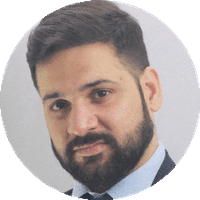 The idea is to boost private capital inflows from global long-term investors, such as public pension funds, endowments and insurance companies. China is the $100 billion bank's biggest shareholder with around 30 per cent of stock, with India the second-biggest with around 8 per cent. India and Korea on Wednesday decided to stimulate investments to push infrastructure development and bilateral trade as they sought to ward off threats of rising protectionism. The two countries also signed agreements to establish $9 billion in concessional credit and $1 billion in Official Development Assistance (ODA) funding for infrastructure development projects in India. 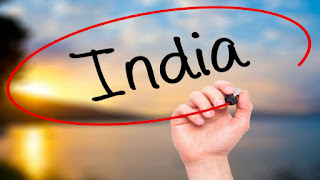 As the world's fastest growing major economy, India offers Korea important opportunities to deploy its capital and technologies in India, the Finance Ministry said in a statement. 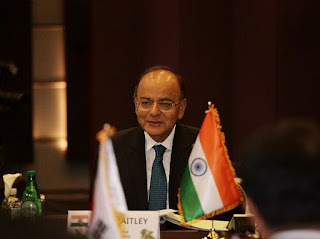 The signing of the credit and ODA agreement was to implement a decision taken during the visit of Prime Minister Narendra Modi to South Korea in May 2015. Private sector lender Yes Bank has partnered with mobile payments switch TerraPay to enable real time money transfer to bank accounts in India. 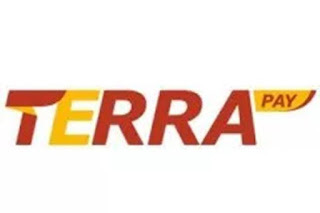 Powered by TerraPay’s global clearing and settlement service, the partnership will make it faster and convenient for consumers to send money to any bank account. TerraPay has partnered with Yes Bank in a Rupee Drawing Arrangement which enables TerraPay’s network partners to make instant cross-border money transfer to bank accounts in India. This means that Indian migrants worldwide can walk into TerraPay’s partner outlet anytime and send money to their family and friends back home, instantly in their bank account. For bank accounts other than Yes Bank accounts, Yes Bank will disburse funds using the immediate payment service, popularly known as IMPS. The service is available 24X7. State-owned oil firms IOC, BPCL and HPCL signed an agreement to jointly set up India's biggest refinery at Ratnagiri district of Maharashtra at a cost of USD 30 billion or Rs. 2 lakh crore. 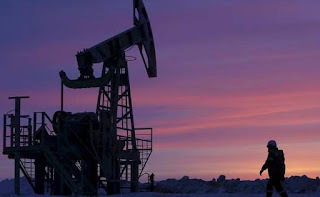 Indian Oil Corp (IOC) will be the lead partner with 50 per cent stake while Hindustan Petroleum Corp Ltd (HPCL) and Bharat Petroleum Corp Ltd (BPCL) will take 25 per cent stake each. The three oil refining and marketing companies signed the joint venture agreement here this evening. The pact was signed by IOC Chairman Sanjiv Singh, HPCL Chairman and Managing Director Mukesh Kumar Surana and BPCL Chairman and Managing Director D Rajkumar. The three oil refining and marketing companies have signed the joint venture agreement. The 60 million tonnes capacity refinery at Babulwadi, Taluka Rajapur in Ratnagiri district is being set up keeping in mind the future fuel demand and the export potential of the country. The refinery and the accompanying mega petrochemical complex will be set up in two phases. Phase-1 will be 40 million tonnes together with an aromatic complex, naphtha cracker and polymer complex. 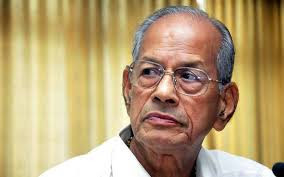 Delhi Metro Railway Corporation (DMRC) Principal Adviser E. Sreedharan has been selected for the year’s Nanniyode Rajan Memorial Award, instituted by the Milma Thiruvananthapuram Regional Cooperative Milk Producers’ Union (TRCMPU) in memory of its former chairman. The previous recipients of the award, instituted in 2008, included E. Chandrasekharan Nair, Prayar Gopalakrishnan, V. Kurian, M.S. Swaminathan, P.J. 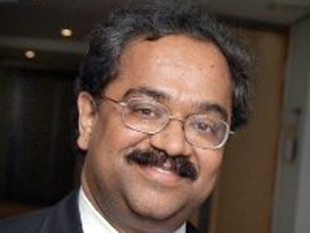 Joseph, Vakkom B. Purushothaman, K.C. Joseph, and C. Divakaran. The Koyivila Vijayan Memorial trophy and cash award for the best milk producers’ cooperative society will be presented to the Vechuchira milk producers’ cooperative society in Pathanamthitta. 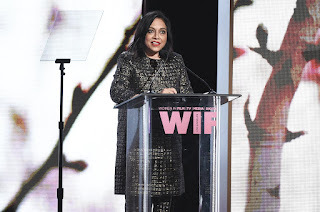 Indian-American filmmaker Mira Nair won the Dorothy Arzner Directors Award for the film Queen of Katwe at this year's Women In Film Crystal + Lucy Awards. Queen of Katwe's lead actress Lupita Nyong'o presented the award. Bollywood superstar Salman Khan’s ‘Sultan’ has been lined up for a showcase at the 20th Shanghai International Film Festival. The gala is to be held from June 17-26. Director Ali Abbas Zafar tweeted on Thursday: “‘Sultan’ will be showcased at 20th Shanghai International Film Festival.” A sports drama, the movie features Salman in the role of a wrestler and he is paired with Anushka Sharma. For now, Zafar is busy working on his new film ‘Tiger Zinda Hai’, which again features Salman. 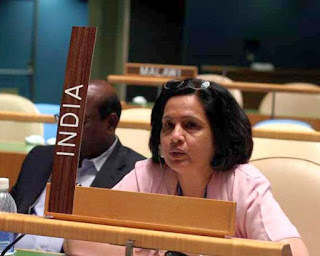 In a significant victory for India at the United Nations or the UN, international law expert Neeru Chadha has won a crucial election to a top UN judicial body that deals with disputes related to the law of the sea, becoming the first Indian woman to be appointed as a judge at the tribunal. The government has appointed a senior executive of Tata Consultancy Services to head Atal Innovation Mission, its initiative to promote entrepreneurship in the country, in perhaps the first initiative to bring in best of private minds to drive innovation in governance. 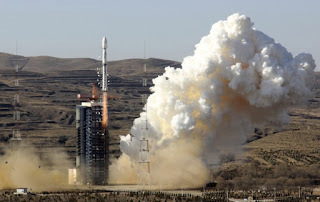 China successfully launched its first X-ray space telescopeto study black holes, pulsars and gamma-ray bursts, state media reported. In April, China's first cargo spacecraft successfully docked with an orbiting space lab - a key development toward China's goal of having its own crewed space station by 2022.